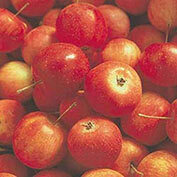 Whitney Crabapple Tree | Gurney's Seed & Nursery Co.
Firm, crisp, tangy-sweet, pinkish-red fruits by the bushels! Wonderful in jams and jellies. Delicious baked with cinnamon and sugar! Ripens by early September. Spacing: 25 - 35 feet. 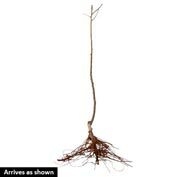 Depth: Graft 1 - 2 inches above soil. Pollinator: Dolgo or another Whiteny Crab apple or other (Malus) viable apple variety blooming in late Spring. Yield: 2 - 5 bushels at maturity. Fruit: Larger than a golf ball. Sweet, juicy, yellowish flesh. Flower Form: Medium sized, abundant flowers. Growth Rate: 1 - 2 feet per year. 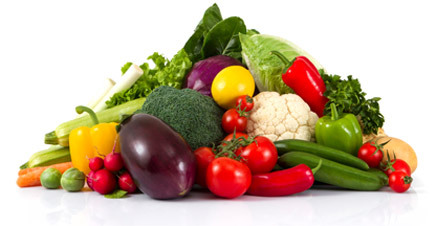 Comments: Fruit is light greenish-yellow with red blush or stripes. Excellent for fresh eating. 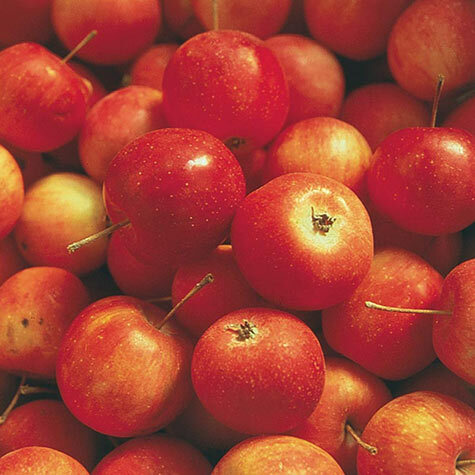 Partially self-fruitful but produces better with another variety or two trees. Heavy bearer. Fair keeper. Fairly large fruit for a crab apple. The tree is hardy and is an upright symmetrical grower. Moderately resistant to fireblight. Moderately susceptible to cedar rust.